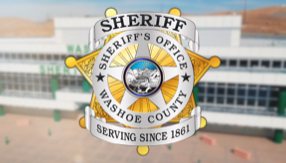 All Bail Agents conducting business with Washoe County Detention Facility must register with Washoe County Records Section, Permit Unit. Bail Bond Agents must register and provide the required documentation annually on or before July 1. You may register starting June 1st for the following fiscal year. Bail Bond Agents will be provided with an ID-Card at the time of registration. Bail Enforcement Agents must have an ID-Card issued before entrance to the Detention Facility can be achieved. The ID-Card is valid for 1 year from the date of issuance. Certified copy of renewed and updated Power of Attorney.